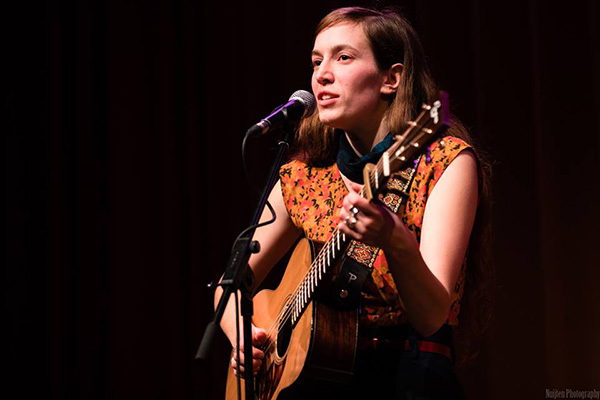 A contemporary folksinger from Winnipeg, Canada, Madeleine’s acoustic guitar and her artistry as a songwriter can silence a room, uniting her captivating voice, vivid lyricism and a maturity beyond her years. Appearing often in the folk/roots duo Roger Roger with twin brother Lucas, Madeleine has performed at festivals and folk clubs across Canada and Europe; sung as a musical guest on CBC Radio One’s national and regional programming, and their debut album “Fairweather” reached the No. 1 spot on the Canadian national folk/roots/blues charts, garnering acclaim for its exceptional songwriting.